I’d like to welcome you all to a series of posts that I am calling my Niche Site Guide. Over the coming days/weeks I will be providing you with a step by step guide to making money with niche sites, exactly the way I build them. I don’t want to waste your time with the details… so let’s get started. For our first step, we are going to focus on getting our domain name. However, we will not actually be buying it today. The domain name that you use is, essentially, how your readers will access your website! So what exactly does that entail? Well for one… it better be a good one! 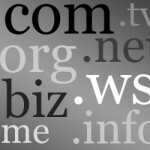 What makes a domain name good? In all likelihood, this will be the single most important step in the process. Whatever domain name you choose, you will be living with for the life of your site (which is hopefully at least a year). In addition, it is hopefully going to create a reputation across the internet and will generally stick with you longer than you would ever have imagined. Because of all this, we need to find the best domain name possible. Step # 2 – Planning and Goals, What Is The Niche About? I mentioned in my last post how important setting goals is to success. I am going to work off the assumption that those of you who want to start a niche website have a grasp on what exactly you want the topic to be about. With this, I would like to issue one warning: concentrate on one niche, don’t try to do it all! I have seen too many sites fail that attempt to focus on “sports” rather than “basketball,” or “pets” rather than “dogs.” Narrow your focus to succeed, or you will simply never get off the ground! Now that we have that worked out, do you know what you are writing about? Once you have the topic in your mind, start thinking up some keywords that could describe your website. When creating this site, I was planning to form a niche site oriented internet marketing blog, so I planned to write about making money on the internet with my personal spin on things. The goal, is and was, to create a community style website where I present ideas and get feedback from the readers. The next step you will want to take is to get out a pad and pen, and start jotting down different words that describe what you want to register as your domain name. Remember, keep it a short combination of words (or letters) with hyphens as a last resort. Step # 4 – Sleep On It! That’s right, once you have a nice list built up… don’t buy anything. I can almost guarantee that your domain name will be available in the morning, and you never want to impulse buy a domain name. It’s amazing how many “brilliant” ideas I have had, and ended up wasted money on purchasing domain names that I never used. Give your new found domain names the test of time, and you can register them later. I want to urge all of you to resist the temptation to buy your domain name now, and come back to it tomorrow for a fresh look. When it comes to choosing domains for a niche site, I like to use a few tools. The two best paid tools I can think of are Market Samurai and Long Tail Pro. I discuss both of those in further detail in my post about How I Choose A Niche. Bottom line, these are paid tools, but the time and effort that they save will easily make you that money back. If you are looking for a free tool, Google’s Keyword Tool is the best! What you want to look for is a low competition keyword, that has a good number of local exact match searches. My sweet spot usually is in the 2600-5600 exact match searches zone. Hopefully you have had time to sit down and think out exactly what you want to do with your site. The domain name step is important, so that is why I want you sleeping on it. Now that you have done that, let’s get to it. First, lets debunk a popular myth. Many people who have never purchased a domain name before are a bit spooked with the task, I know that I sure was. However, a domain name really is just a $10 per year dedicated URL! Getting over that initial fear to buy your own domain name is easier than it sounds… but trust me on this one. All you need to do is find a reliable registrar (GoDaddy.com, 1and1.com are my favorites) and work your way through the process. Which Registrar Should I Use? When I asked around on other blogs which registrar they used to get their domain name, the overwhelming response was GoDaddy.com. This service is great. It is easy, fast and relatively affordable. However, they do try to trick you into buying more than you need… and they do not offer private registration without doubling the amount you thought you were paying. For this reason, I recommend 1and1.com! They are one of the easiest to use (in my opinion), the cheapest for .com names, and include FREE private registration. Believe me, you want the private registration on all of your domain names… otherwise, it is required by law to have your home address listed! Go ahead and register that domain name you researched and slept on! Again, I recommend 1and1.com, but it really doesn’t matter too much as long as you stick to a reputable service. Remember that you won’t be needing any web hosting, email add-ons or anything like that… so stick with the bare basics and hopefully you can walk away with change for a $10. That is going to be it for Part 1, as this is a huge and crucial step. Please let me know if I missed anything and what domain providers you like to use in the comments. I would also love to see feedback on how you do your domain name and keyword research. Part 2 of the Niche Site Guide will be out in a few days. 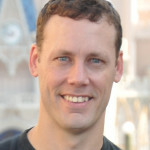 Adam Roseland is a blogger, podcaster and entrepreneur who also owns a digital marketing firm called 814 Interactive. 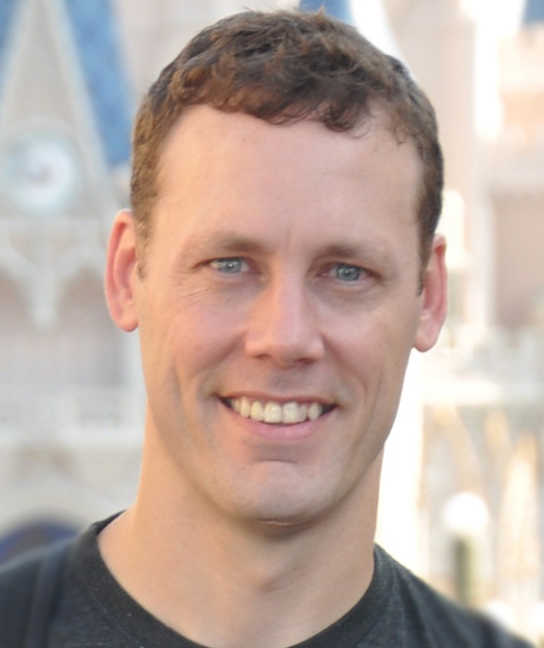 Adam has been working in the advertising industry for the past 15+ years primarily in the digital space for advertising agencies, has built hundreds of niche sites. What Is A Niche Site and Why Build Them? How Do I Choose A Niche Site Topic?